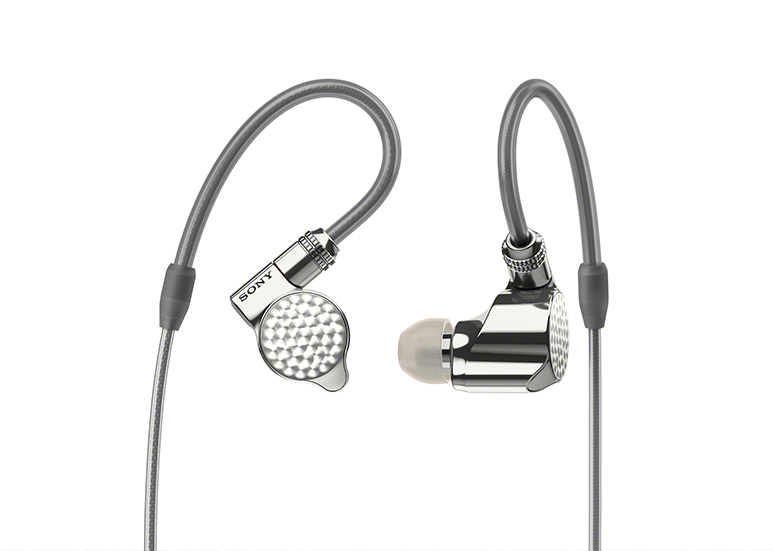 Sony announced the IER-Z1R In-Ear Headphones and DMP-Z1 Digital Music Player, two new products that rejuvenate and expands its Signature Series. 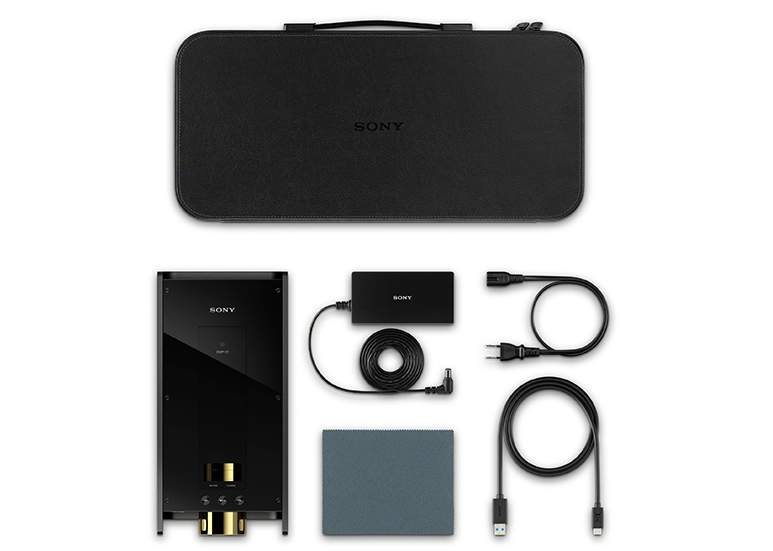 The two products harness decades of audio expertise, proudly showcasing Sony’s relentless lifetime pursuit of sound excellence. 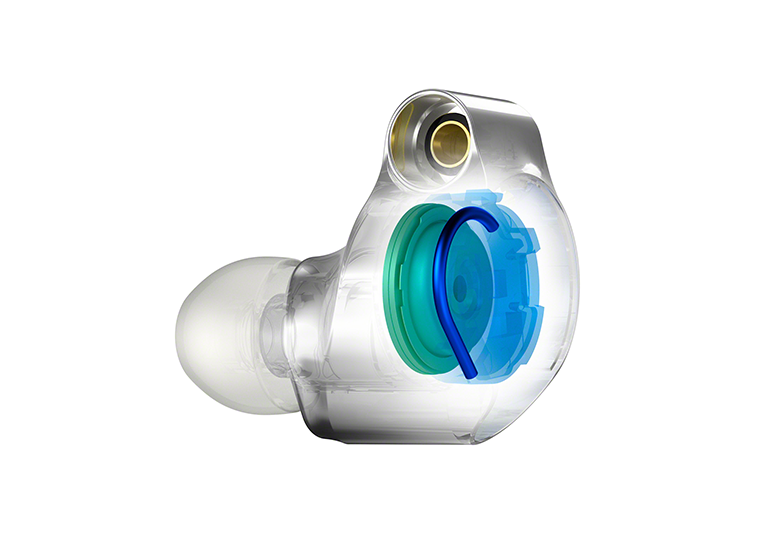 Designed to deliver an immersive music experience, the IER-Z1R In-Ear Headphones (IER-Z1R) feature an HD hybrid driver system consisting of a 5mm Dynamic driver, a 12mm Magnesium alloy diaphragm Dynamic driver as well as a Magnesium alloy diaphragm Balanced Armature (BA) driver. As the driver unit’s sound, quality, and consistency of sound character are critical to a headphone’s sound, an advantage of Sony-designed drivers is that it ensures a preservation of consistency in sound signature from driver design stage to the finished product. The driver system delivers a frequency response of up to 100 kHz aimed at reproducing a luxuriously rich concert hall experience. The 12mm dynamic driver’s diaphragm features a magnesium alloy dome which is lightweight yet highly rigid. The dome’s edge is made from aluminum coated LCP which offers flexibility for optimal bass reproduction and high internal loss. 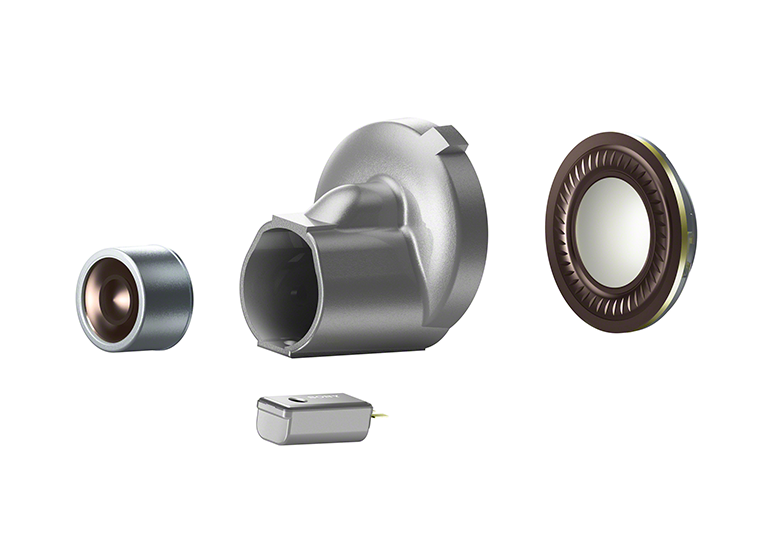 These materials work in sync to give listeners fine details and crystal clear sound. The perfectly controlled acoustics of the IER-Z1R is achieved by the Refined-phase structure which features a magnesium alloy inner housing that delivers to listeners a natural sound with a precise sense of image projection never experienced before. 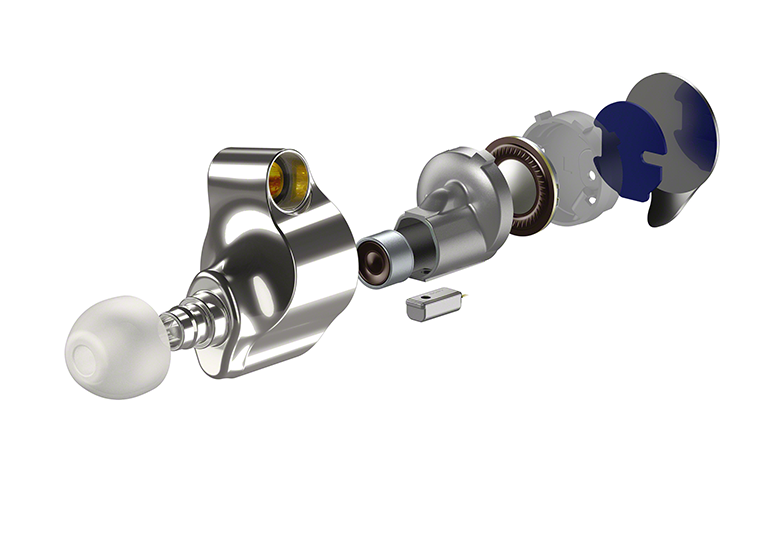 All three drivers; the 5mm dynamic driver, 12mm dynamic driver and balanced armature driver unit are built into the inner housing which works as an optimal sound path. The sound coming from each driver is optimally blended into the sound path which ensures ideal phase response and clear separation. 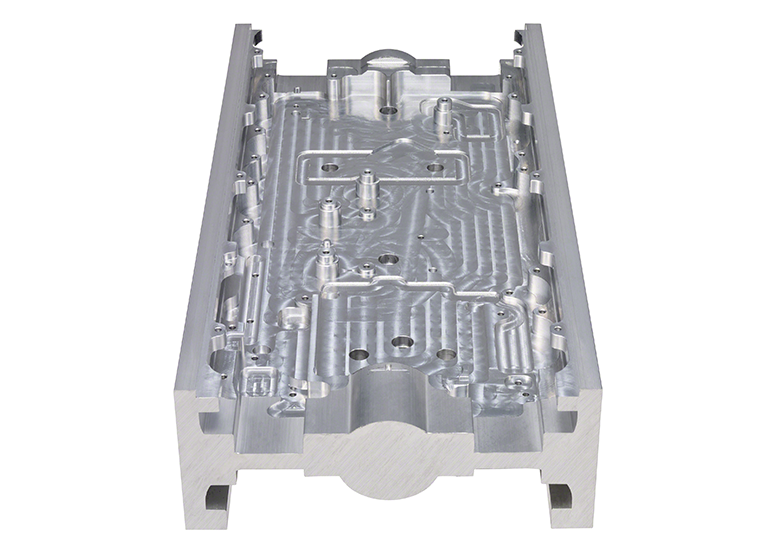 Magnesium alloy also eliminates unnecessary vibration due to its high rigidity and internal loss. Advanced sound space control technology was applied to finely control air flow at the rear of the drivers. Ventilation is accurately controlled by connecting the acoustic tube to the extended acoustic cavity behind the driver unit. This unique-to-Sony sound control method reproduces a wide soundstage with rich and accurate mid notes, a harmonious sound signature from low to high frequencies and an overall smooth sound reproduction. 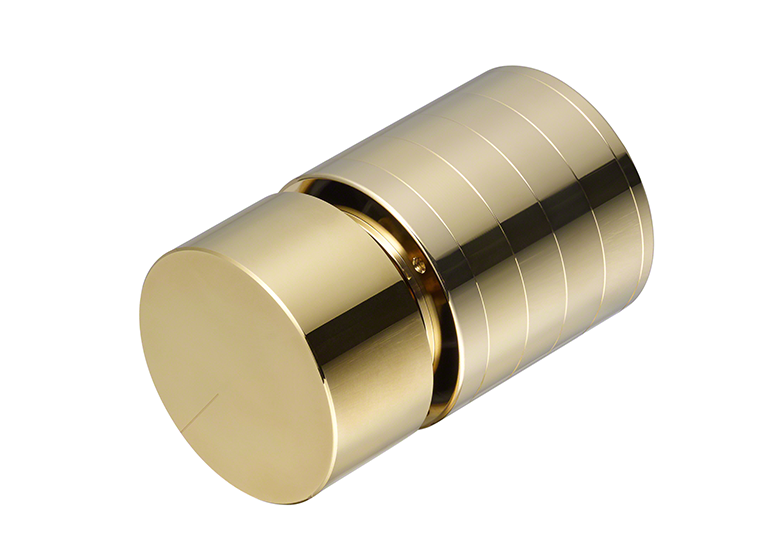 Equipped with a newly developed silver-coated Oxygen-Free Copper (OFC) cable which features a gold-plated structure using non-magnetic undercoat for plug and MMCX connectors jacketed using natural silk thread which reduces touch noise work as an insulator and damper against vibration. The supplied cable also features twisted pair wiring, thereby reducing signal transmission loss to preserve the signal purity and achieve the intense high-resolution sound. With accumulated ear shape database collected over decades of research, the IER-Z1R is designed for comfortable yet stable wear via its optimised housing shape, 13 variations of ear tips (six variations of triple comfort ear tips and seven variations of hybrid ear tips) and pre-formed ear hangers. This exquisite pair of headphones also boasts a zirconium alloy outer housing for increased hardness, corrosion resistance, and durability. The faceplate of the IER-Z1R features an elegant “Perlage” pattern distinguishing the headphones at a glance. The IER-Z1R is meticulously hand-crafted using only the finest top-grade materials by skillful artisans in Japan featuring Sony’s dedicated audio grade film capacitor for crossover network circuits was used in the IER-Z1R delivering a refined sound with low distortion. The film capacitor was developed after numerous listening tests. 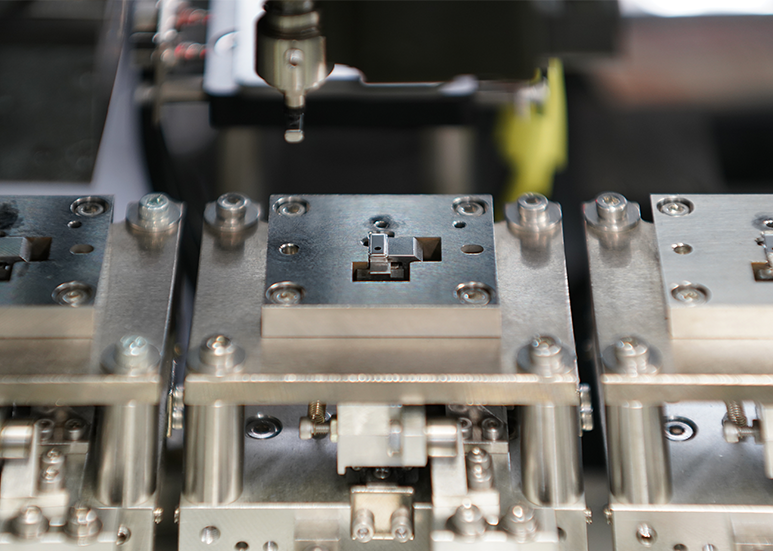 In addition, a Sony-developed dedicated audio grade solder was also used to minimise the loss in the signal path while ensuring purity of contact. Two detachable cables for 4.4mm balanced plug and 3.5mm single-ended plug. Priced at SGD 2,499. The IER-Z1R will be available at selected Sony Stores, Sony Centres and Sony authorised dealers from end 2018. Combining super high-quality sound, premium design, and enhanced usability, the DMP-Z1 Digital Music Player (DMP-Z1) is a super-charged music player bringing top-end stationary class headphone amplifier sound and power to wherever you desire that fits your personal space. 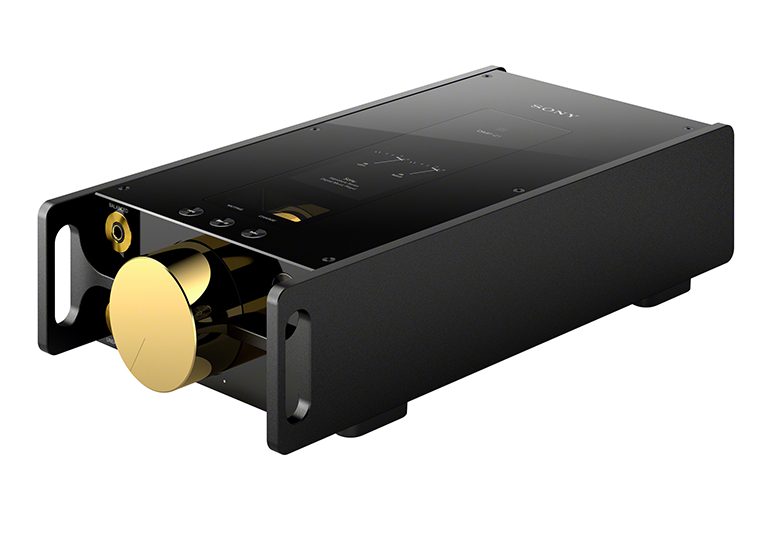 Reaching new sound quality heights, the DMP-Z1 achieves an optimal High-Resolution Audio (up to Native DSD 11.2MHz/PCM 384 kHz/32bit) and approx. 1500mW (16Ω) headphone output power for a premium listening experience at your favourite hang-out. As the audio signal directly passes through the volume controller, this affects sound quality and is one of the most important aspects of audio design. 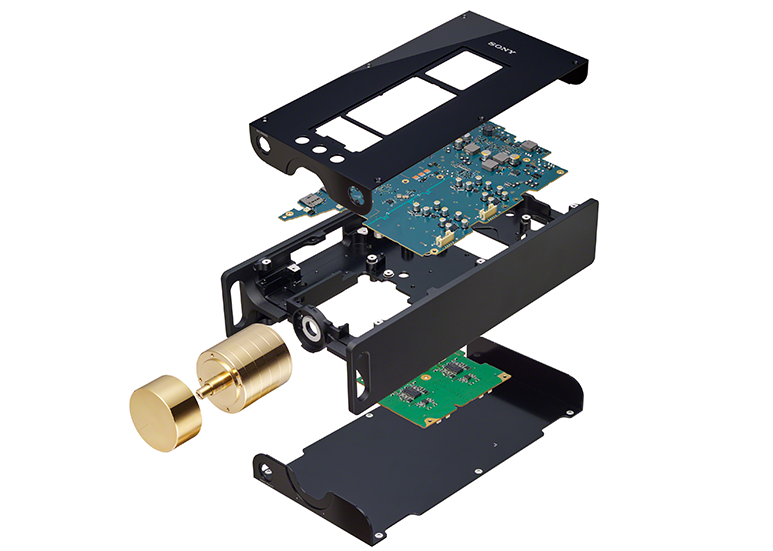 The DMP-Z1 uses a Sony customised high-end analog rotary volume controller which is copper plated followed by a gold plating and supports the volume for four separate signal paths (L+ / L- / R+ / R-). This ensures signal purity and ensures the DMP-Z1 reproduces transparent and clear vocals as it maximises the DAC chip performance by retaining all audio source information even at low volume levels. To ensure high headphone output power and high-quality sound, the DMP-Z1 utilises a dual DAC configuration using the Asahi Kasei Microdevices AK4497EQ DAC Chip, a world-renowned DAC chip and an analog amplifier circuit featuring the TI TPA6120A2 amp chip, also a world-leading top end headphone amplifier chip. It is also equipped with two newly-developed super low phase noise crystal oscillators for 44.1kHz and 48kHz. 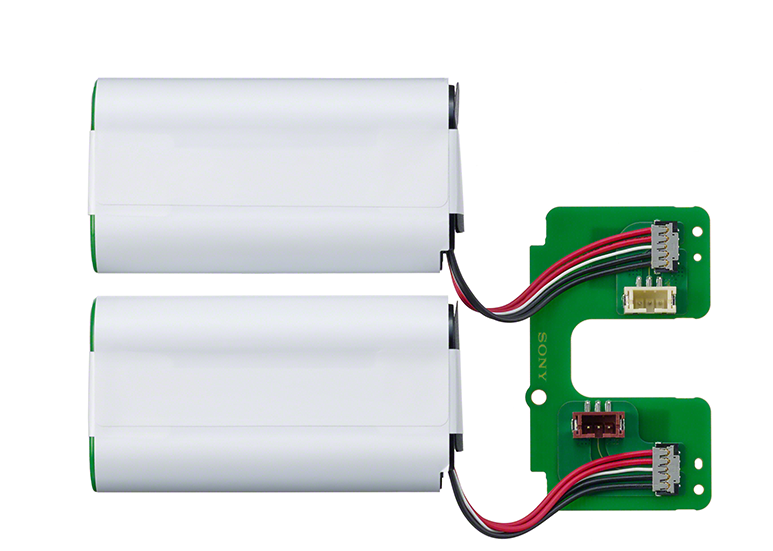 The DMP-Z1 features an independent power system using a total of five battery cells providing independent and stable power to both the digital and analog block. The separate digital and analog power systems prevent noise propagation from the digital section to the analog block. The independent analog battery features a simple power circuit to supply clean power to the headphone amplifier. Thus the battery mode delivers noiseless, clean and powerful sound. Users can easily switch the music player’s power mode from AC to battery by simply tapping either the Battery button or AC button on the DMP-Z1’s touch panel user interface. The DMP-Z1’s H-shaped aluminum chassis presents a high rigidity frame structure that eliminates vibration and reduces resistance, thereby delivering clear and powerful low-frequency performance. In addition, isolation of the amplifier board by physically separating the amplifier board and main board using the H-shaped chassis further reduces noise which will affect sound quality. This isolation blocks noise and provides areas for connecting to ground on each board connecting to the chassis and ensures the listener experiences transparent sound free from distortion. A first for digital music players, listeners can personalize their preferred sound with the DSD Remastering Engine which lets users convert all PCM music sources into DSD 5.6MHz, the newly developed Vinyl Processor feature recreates via some clever processing, the acoustic phenomenon unique to vinyl playbacks such as the tone-arm resonance, tiny surface noise and the rich sound from the vibration by acoustic feedback from the speakers to the turntable as well as newly developed DSEE HX™ with an improved algorithm to enhance the supplement ability for highs by an artificial intelligence technology where users need not select the type of enhancement needed but instead, this is automatically selected for them based on real-time information analysis. The DSD Remastering Engine can be switched on or off easily via the user interface. With its mirror-finished aluminum top plate, spin finished aluminum physical playback control keys and gold-plated analog rotary volume controller, the DMP-Z1 sports a sleek premium design which exudes high-class luxury in every component. dual micro SD card slots, 256 GB internal storage, USB type C connections and a Bluetooth receiver, the DMP-Z1 provides enhanced usability making it a breeze to use daily. Priced at SGD 10,500, the DMP-Z1 will be available at selected Sony Stores, Sony Centres and Sony authorised dealers from end 2018.